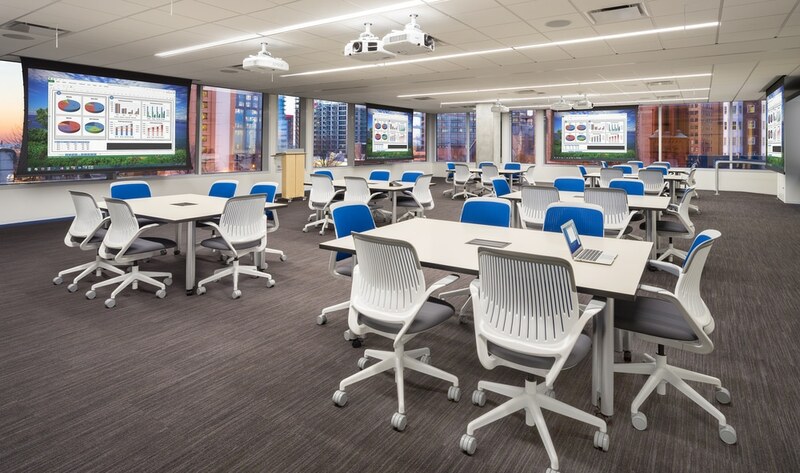 These rented spaces devoted to large business gatherings have a definite advantage over using space that might already exist at your workplace. All the technology, seating and catering is already in place, allowing for a turn-key set up. To set up your own training space, consider what these large venues offer, then tailor those amenities to the scale of what you hope to create. Here are some things to consider when setting up your own dedicated training space. 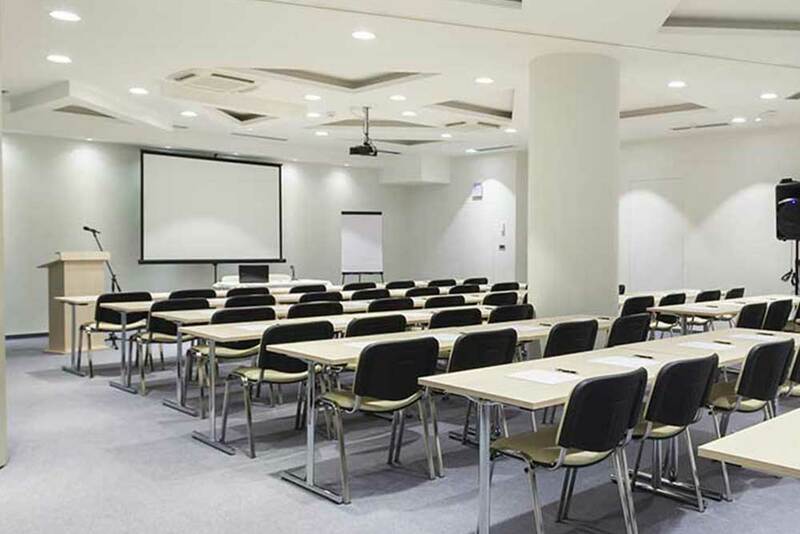 Lighting and Environmental Controls – Lighting should be sufficient to allow participants to read clearly, but then also be dimmed for projected presentations. Also, consider a room with natural light, as it brightens the room and can help improve participant focus. If so, there should also be blinds or shades that can be used to block outside light for comfort or visibility. The room’s HVAC system should be able to handle the number of people you expect in the room for an extended time. Furnishings – Tables, chairs, lecterns, etc., should all work for a training setting. Seating should be ergonomic and comfortable for lengthy periods of sitting. Technology – Wall or floor outlets should be bountiful to plug in multiple devices, and wireless internet should be reliable and easily connectible. A user-friendly data projector should be installed (with all presenters trained in its use) and the PA system should ensure that all presenters can be easily heard. Audience response technology that allows real-time responses from trainees can help both the presenter and participants, as well as make the process of training more fun and engaging. Analog Hardware – When brainstorming or recording participant input, here’s still a place for the old reliable white board, multicolored markers, a large format flip chart and easel, and extra pens and note pads. Did we forget something? What would your ideal training room setup look like? Leave us a comment.